Hi ya’ll!!! I know I haven’t posted any reviews lately but it’s because I’ve been reading books that aren’t the 1st in the series. 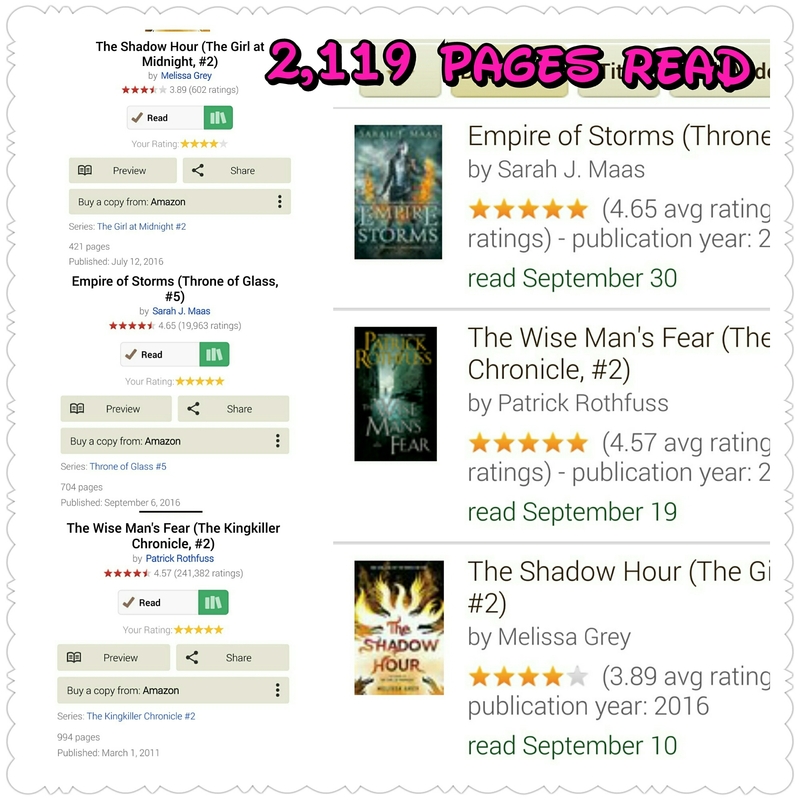 Sometimes I struggle with writing non spoiler reviews when it’s a sequel because how do you keep from spoiling a person who hasn’t read book 1? Anyway so here are the books I completed in the month of September. I only read 3 books but in my defense they were huge lol. I also went ahead and posted my ratings that way if you read the previous book in the series you kinda know if I felt it’s worth it to continue on. How did your reading month go? Have you read any of these books and if so what are your thoughts? Happy Reading Ya’ll!!!!! I haven’t heard of the King Killer’s chronicles before. I’m glad you liked the second book. Did you liked book 1? I do like fantasy 😊 I will check this series out!